Check out the finalists for the Microcontroller Contest! Not too long ago we made a post about the Instructables/SparkFun Microcontroller Contest. In the end, there were well over a hundred entries and some really amazing projects. The contest is currently in the judging stage, but right now is a great time to head over to the contest page and check out all the finalists - there is some really amazing stuff! Yes - that is nothing more than a video of Grover dancing to "Safety Dance" by Men Without Hats. Go ahead - watch it again. And again. Now, if a video of Grover simply dancing about doesn't strike your fancy (be honest! ), maybe it will help to know that is a microcontroller-based marionette. 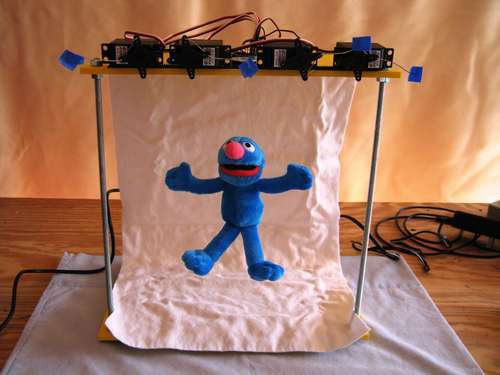 Yes, Grover has gone autonomous. Using a microcontroller, some hobby servos, and some clever engineering, Grove dances around with the best of 'em. More than just your standard marionette. Now, I certainly don't want to seem biased, but there are simply too many awesome finalists for me to post about all of them. 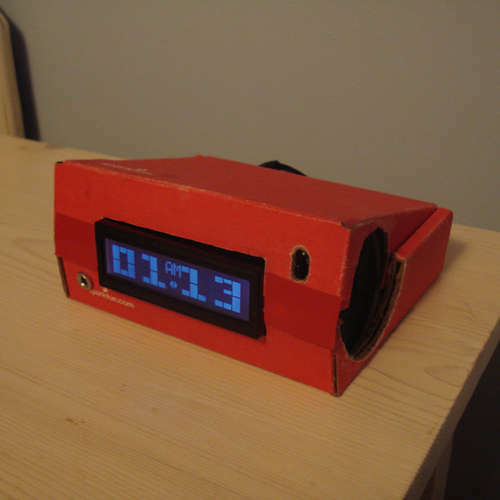 Check out the Arduino-controlled Dog Treat Dispenser or the Music Playing Alarm Clock (hm, that box looks familiar). Honestly, just check out all the finalists - I have a feeling something there will inspire you or at least make you crack a smile. We'll announce the winner here in the coming weeks! Since when did Grover develop Cerebal Palsy? Let me go ahead and run that through my funny-o-meter. Let's see....cerebral palsy...nope, still not funny. hahaha my cousin has Cerebral Palsy, it's horrible, but he has a great sense of humor. I would like to think he could laugh at a joke like that. Some people believe that Cerebral Palsy is the sexiest of the Palsies. you're about to get flamed so hard. Actually I do not. I only see 6 posts. Interesting way to diffuse a situation, I like it. Darn, I should have used an Arduino instead of a PIC, eh? Why do I feel like I've just been rick rolled? This project uses a Micro Maestro for the brains! Does that even qualify as a microcontroller? ... A PIC is not a uController... A PIC is a CPU, which in conjunction with a clock, memory, etc. becomes a uC. I'm not sure what you think a PIC is, but they do have all those things onboard and are most definitely microcontrollers. I think so. The Maestro servo controller has a scripting language that lets you write code for it. Honestly I didn't even see the alarm clock box, and now I can't believe i didn't see it.. Poor me..
Grover probably could use to be anchored with a fishing sinker, though. If the guy just ran a line from his bum to the ground and put a little weight on it it would stop the shakes and makes his other movements more pronounced. Still, I gotta say that Grover's Groovin' with the best of 'em, certainly the most convincing person I've ever seen dancing to "Safety Dance"